Should the New York Giants Pursue Pro Bowl Caliber Defensive Tackle in FA? Home New York Giants Should the New York Giants Pursue Pro Bowl Caliber Defensive Tackle in FA? The New York Giants‘ defensive front lacked experienced and overall effectiveness in 2018. It might be a decent idea to consider adding a veteran that has knowledge and value to offer. Former Pro Bowl defensive tackle Ndamukong Suh could fit the bill nicely for the Giants. Featuring the 3-4 scheme under James Bettcher requires three down lineman that can wreak havoc on the offensive line and penetrate to the quarterback. Suh has that ability, despite inconsistency with the Los Angeles Rams last season. According to PFF, however, he finished as the 20th best defensive tackle in the league. The five-time Pro Bowler is an iron man, missing just two games in nine seasons, which is a great attribute to have when on the open market. It’s likely that his asking price is far too expensive for the Giants at this point, but the longer he waits the less money he will earn. 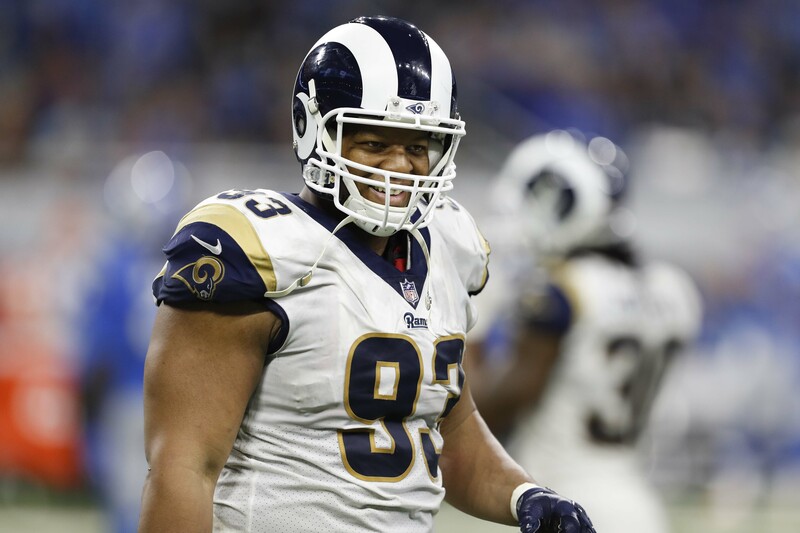 Suh signed a one-year, $14 million deal last season with the Rams and could be looking to re-join the talented team. He also would make a great fit on the Giants, but there’s no way they would unload that kind of cash at the current moment. They’re expected to have upwards of $80 million in cap space next year, which could make him a potential option if the money was backloaded. This deal would be unnecessary, though, as Big Blue is still in a rebuilding phase and not looking to add any high-priced free agents before enjoying the benefits of open salary space. But, sometimes money is only a means to an end, and Suh does offer extreme value in the trenches and especially alongside B.J. Hill and Dalvin Tomlinson. Pairing the three together could be a solid move given the lack of pass-rush ability from Tomlinson. The difference is actually quite telling. Tomlinson is a serviceable player, but Suh features another dimension to his game that makes him elite. Adding a player of his caliber would immediately bolster the defense and allow them to draft a top tier linebacker like LSU’s Devin White or Kentucky’s Josh Allen with the No. 6 overall pick. An interesting idea worth considering. Let’s just hope Suh’s days of stomping on ankles is over.